The 10 Best Garden Centers and Nurseries in Mississippi! If you find yourself in Mississippi with a green thumb, you’re in luck. 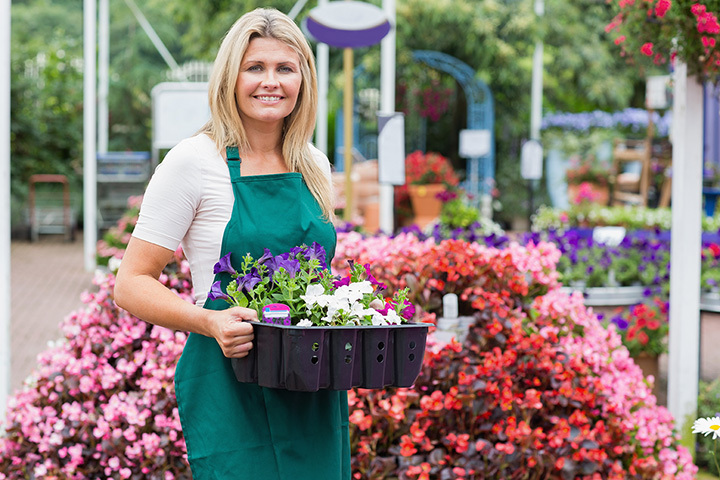 There’s an abundance of garden centers and nurseries across the state perfect for any variety of gardener. Whether you’re looking to spruce up your lawn or plant a lush garden of flowers, these 10 best great garden centers in Mississippi have what you’re looking for. Lakeland Yard and Garden Center has been opened since 1980, and they're Mississippi's largest retail nursery. Here you'll find 17 acres of the best plants and materials from around the country. In addition, the staff is committed to continuing horticultural education to best serve their customers. Pine Hills Nursery in Pass Christian is one of the premier nurseries serving the Mississippi Gulf Coast. They're a family-owned business that's been in operation since 1986, and they grow most of their own plants. Among other things, they specialize in poinsettias, so be sure to make a trip around the holidays! Hutto's Home and Garden Center is a family-owned garden center which has been serving the Capitol City since 1968. In addition to a lush variety of houseplants, garden equipment, and annual flowers, they also provide events to educate the public on a variety of gardening-related topics. When you purchase from the Garden Center at the Baddour Center, you're supporting more than just a local nursery. The Baddour Center is a community for adults with disabilities located in Senatobia, and the residents tend to the garden center. All proceeds benefit the Baddour Center. Check the website for hours. At Madison Garden Center, you'll find a variety of plants, materials, and accessories for your home and garden. Customers rave about their customer service and their incredible selection. From seeds to patio furniture, they have it all. Keep an eye on their Facebook page to see what's in season. The Cockrum Garden Center is a mix between a traditional garden center and a produce stand. In addition to fresh produce, which they sell daily, they also sell mulch, fertilizer, seeds, garden tools, and more. They even rent tillers if you just need to borrow one for a small job. Philips Garden Store has been serving gardeners in Tupelo since 1961, and it is still owned by the Philips family. They focus on high-quality products and a personal approach to customer service. Their Facebook page is worth a follow just for the incredible photos they post. Located just outside of Jackson in Ridgeland, Callaway's Yard & Garden Center has been family owned and operated since 1954. Their dedication to providing customers with healthy, vibrant plants and outstanding customer service made them a success from the very beginning. Visiting their Christmas shop has become a tradition for many families in the area! At Bamboo Plantation Garden Center, you'll find more than just bamboo—although you'll certainly find plenty of that. They also carry everything from common houseplants to hard-to-find exotics. The business is primarily mail-order and web-based, but they welcome visitors if you're in the area! Rivers Greenhouse and Garden Homegrown is located in Brandon, Mississippi, not far from Jackson. They grow most of their plants in the 50 greenhouses at their wholesale location just a mile away from the retail center. This ability to know where your plants come from means you can trust that your garden will be healthy and hearty.